for not alot of cash!! 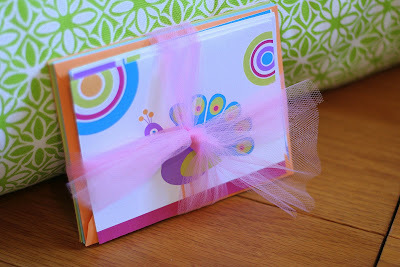 Here, is a wrapped set of 5 YOUprint notecards. Mine are a variety, but you can certainly just buy one style and do the same thing. I used tulle I had to wrap them which I think is especially festive. You can buy this at your local craft store from a roll so it is the correct width, you just cut it like you would ribbon. To take it up another notch, you can add a little tag from one of the sets. I punched a tiny hole in the corner, and attached the tag to the tulle with a small safety pin. 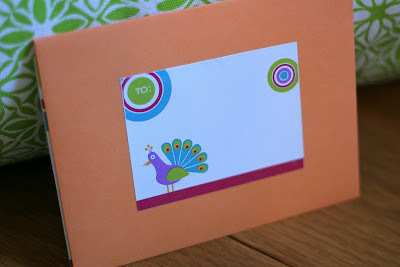 Invitation size envelopes are readily available at office supply stores, usually in white. For a colorful variety, check out an online vendor like Paper-Source. I found it was easier to attach the labels directly to each envelope in order to package them up neatly. 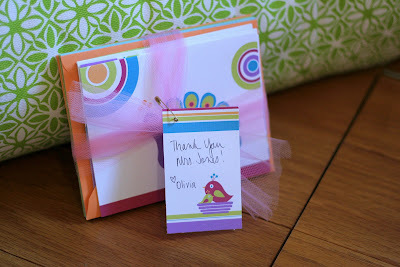 In the next day or so, I will show you a very fun, creative way to package up a set of gift tags. Thanks for reading. Ohh these are adorable!!! Our school is already out or I would print these for our teachers!